After Samsung released Samsung Galaxy S6 and S6 Edge successfully, Samsung finally releases their most sophisticated smartphones this year. Samsung Galaxy S7 and S7 edge could be two options to replace your old smartphone. 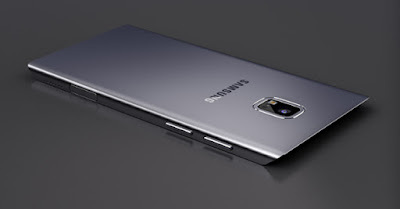 Samsung has released the Samsung Galaxy S7 and S7 edge on March 2016. Many people are curious about how the specifications of these Samsung Galaxy S7 and S7 edge are. Therefore, the writer would like to share with you about the features offered by the Samsung Galaxy S7 and S7 edge even though they have not been officially released yet. We will see the specification from its design, display, camera, hardware, and the others. The design of Samsung Galaxy S7 and S7 Galaxy Edge are created specifically to bring water and dust resistant capabilities that were not previously owned by Galaxy S6. In addition, there is also a microSD memory slot and both of these smartphones have better battery life than the Galaxy S6. If these features proved to be brought in this smartphone, Samsung Galaxy S7 and S7 Edge certainly will be able to compete against flagship smartphone made by LG, Sony, HTC, or Apple in which they become the tight competitors to Samsung. 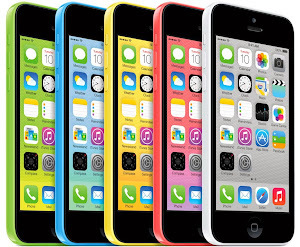 Moreover, these smartphones are also providing several casing colors such as Black, White, Gold, and Silver. Some photos reportedly showed the final display design of the Samsung Galaxy S7 and S7 Galaxy Edge are appearing to the public. Based on the information, it shows that the design of these flagship smartphones will have a different screen size. Where Galaxy S7 remains to adopt Super AMOLED screen 5.1 inches (72% screen to body ratio with resolution of 1440x2560 pixels (557 PPI pixel density). Meanwhile, Galaxy S7 Edge will be equipped with a super AMOLED 5.5-inch screen (76% screen to body ratio) and it has the resolution of 1440x2560 pixels (534 PPI pixel density). Both of the Displays are designed with Corning Gorilla Glass 4 for the screen protection, and the Galaxy S7 edge is designed in particular with curved edge screen which makes it so adorable and look more modern. The design looks not much different from the Galaxy S6 because it still has a home button that is embedded with a fingerprint sensor. What about the camera feature? Galaxy S7 is equipped with front and back cameras. Back camera as the primary camera is designed with a 12-megapixel camera, dual-LED (dual tone) flash, OIS, touch focus and auto focus, face detection, Panorama, Video 2160p at 30fps, 1080 at 60fps, 720 at 120fps, Simultaneous 4K video and 9Mp image recording, HDR, Dual Video Recording. Meanwhile, the secondary camera is designed with 5 megapixels, dual video call, and auto HDR. Meanwhile, the cameras of Samsung Galaxy S7 Edge are also very similarly amazing with 12 MP primary camera with an aperture of f / 1.7, phase detection autofocus, OIS, Simultaneous 4K video and 9Mp image recording, LED flash and Auto HDR. For the secondary camera, it is designed with 5 MP camera f / 1.7, dual video call, Auto HDR for selfie maximum results. Overall, the cameras feature both Samsung Galaxy S7 and S7 edge are just the same. What about the hardware used? Samsung Galaxy S7 is equipped with 2G GSM (850/900/1800/1900), 3G HSPA / HSDPA (850/900/1700/1900/2100), and LTE technology. The download speed in the 3G network is up to 42.2 Mbps while on a 4G network is up to 450Mbps. It provides two SIM types, Single SIM and Dual SIM (using Nano sim and Duat Stand-by). The platform used is Android OS v6.0 (marshmallow) with an octa-core processor with dual-core 2.15GHz Kryo & dual-core 1.6GHz Kryo and quad-core 2.3 GHz mongoose plus quad-core 1.6 GHz Cortex A53. It also has the chipset from Snapdragon 820 Exynos 8890 octa. For memory capacity, this smartphone has two options, with 32GB, 64GB, plus 4 GB RAM which is very suitable for playing games. And it also provides a card slot up to 200GB. It has Bluetooth version 4.2 with A2DP, LE, and APT-x. It uses GPS with GLONASS support and BDS. It also supports NFC. It is completed with several sensors for fingerprint, accelerometer, gyro, compass, proximity, heart rate, SpO2, and barometer. Samsung galaxy S7 edge is similar to the Galaxy S7 using 2G, 3G, and 4G Technology. The Operating System used is also Android Marshmallow. The Chipset and the processor also have the same capacity as the Galaxy S7. Overall, the hardware used between S7 and S7 edge galaxy is not much different. The other features offered by Samsung Galaxy S7 and S7 edge are fast battery charging (60% in 30 minutes, Quick Charge 2.0), Wireless charging (Qi/PMA), ANT+Support, and Non-Removable Li-ION 3000 mAh Battery (Galaxy S7) and Non-Removable Li-Ion 3600 battery (Galaxy S7 Edge). In summary, Samsung Galaxy S7 and S7 Edge can be the best smartphones that are recently released by Samsung. It seems that the whole features are embedded in these smartphones. For the size of the screen is also very comfortable in the hand because they are not too big or too small. The most special of Samsung S7 edge is its unique shape in which the screen is a slightly curved edge. You can also feel satisfied to play games on this smartphone due to its big RAM capacity and its processor. We can say that this smartphone is really perfect. Do you want to buy this smartphone? Tt looks like you have to spend a lot of money to buy these two smartphones. Samsung Galaxy S7 sold about 699 USD while the Samsung Galaxy S7 edge a little more expensive with the price around 799 USD. However, if you really want to have both of these smartphones, you do not need to consider the price, just try to feel how the features given in these incredible smartphones.